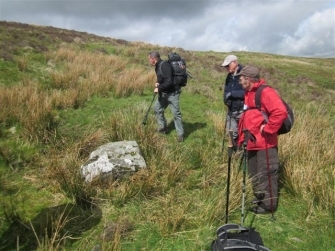 On Breconside Hill, on the boundary between Glencairn and Keir parishes, is a large boulder known as the Preaching Stone. It is 1095 feet above sea level. Rev James Renwick preached here a number of times. His name is said to be inscribed on the stone. The stone is located on the Keir side of the boundary.